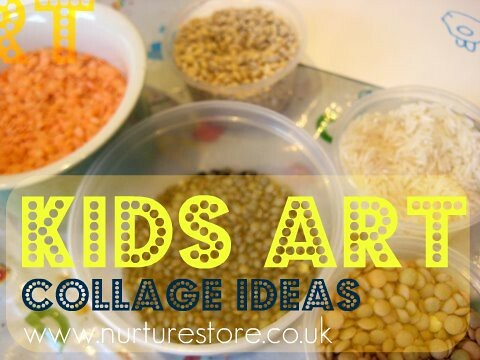 Using store cupboard staples such as red, green and brown lentils, rice and pearl barley to make collages adds an extra sensory dimension to your play – and is a good way to use up any leftover packets just past their eat-by-dates. Try and provide a mixture of shapes and colours and place them in little pots on your creation station. The basic principle is: glue, sprinkle, dry. You can keep to one colour per section or mix it up a little. You can freestyle on your glue and maybe make some repeating patterns – or draw out a design for your collage. Filling in outlines of letters and number allows children to feel the shape of the characters and makes a good addition to a sensory alphabet chart. For more ideas, try making rangoli patterns with your children or try creating some art with spices with this idea shared with our Play Academy by My Kids Make. great idea using lentils!!! thanks for mention our “Art with Spices” project, and the link! 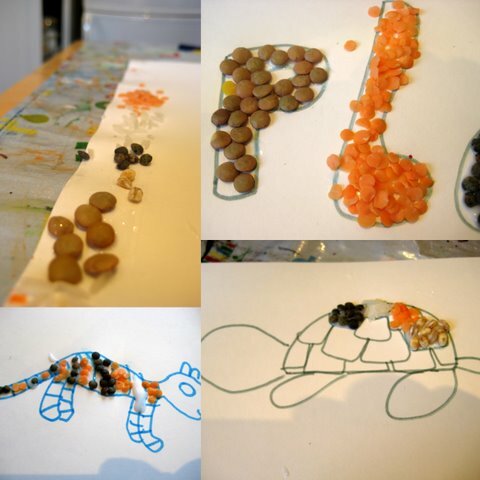 I love this tutorial, this is a great fine motor activity for kids! Please stop by http://www.laughloveandcraft.com for Share the Wealth Wednesday and link up! These are so pretty! 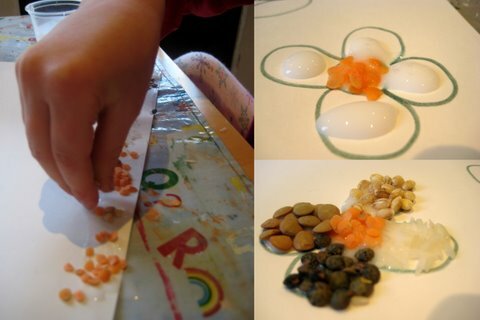 What a wonderful sensory art experience for little ones! Thanks for the link Esther – your picture is beautiful! Aaaah crafting with lentils is brilliant. The textures.. the colours.. fab! I love these activities that use household things. Means they are accessible to all! Many thanks for the link!